These days Meditation gets heavy coverage in both online and print media. Though you may think of it as a modern new-age practice, in reality, the history of meditation dates back at least 5000 years to Eastern religions, such as Hinduism. Other forms of meditation developed in both China and Japan. Meditation techniques used in Hinduism tend to be more complicated than Buddhism including Yoga practices, such as Hatha. Due to their simplicity, Buddhist meditation techniques are the most popular today. For example, the technique used in Mindfulness is an adaptation of Buddhist Vipassana meditation. The mind is often very busy and stressed. Meditation helps to bring it to rest and aids in dispelling stress from the mind and body. 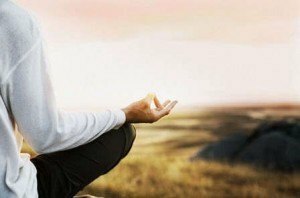 In fact, there are many proven psychological and physiological benefits to be gained from regular meditation. The benefits are not just for the spiritual. Meditation is like exploring the bottom of a vast ocean, where everything is still and tranquil. During meditation the waves and turmoil on the surface fade into the background, leaving peace and clarity below. What’s the benefit of meditation? Deep consciousness exploration, the inner self or being. So, if Meditation practices are similar, you might wonder what is the specific benefit of each practice. Well, it depends on the intention of the meditator. For example, Vipassana (Insight) meditation helps to guide a Buddhist along the path to enlightenment. Of course, that’s not the only reason a Buddhist meditates, but it is a key practice for that religion. On the other hand, someone who’s read about the benefits of meditation might try Mindfulness Meditation in the hope that it’ll reduce stress. For the Mindful meditator, the practice is similar to how a Buhddist would meditate, but the desired outcome is for improving physiological and physiological well being, rather than for a spiritual benefit.